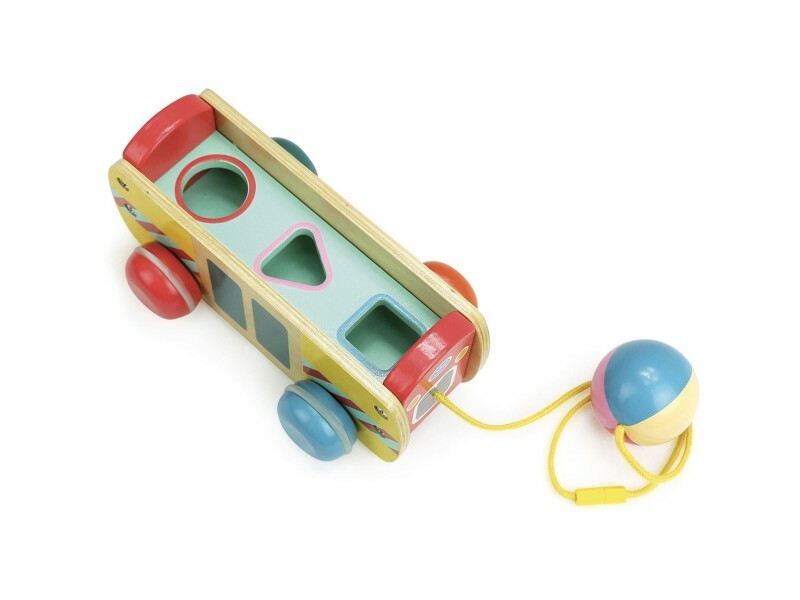 This cleverly designed and beautifully crafted wooden coach toy is a 2 in 1 toy. Designed by French toy maker Vilac, the coach is a pull along toy as well as a shape sorter. 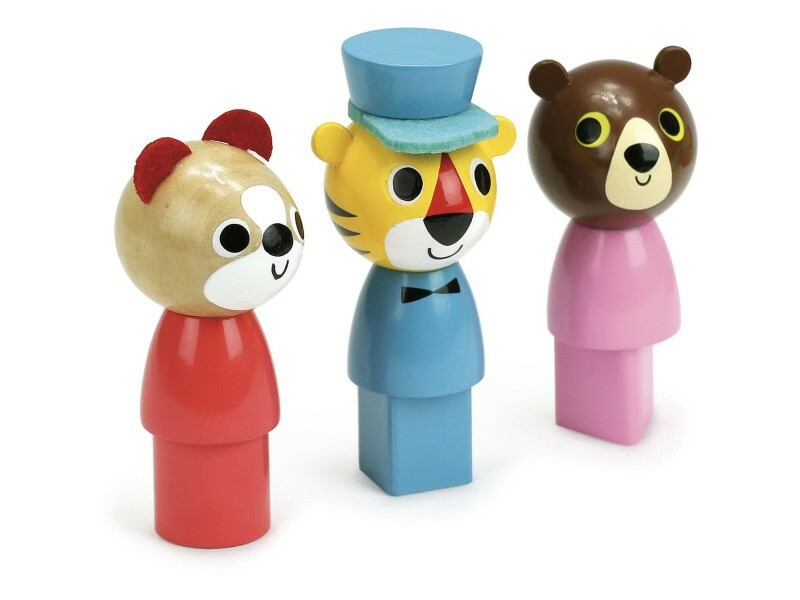 The coach features 3 colourful wooden animal figures and the base of each one is a different shape so that they can be matched to the holes in the coach. The coach also features a brightly coloured wooden ball attached to the string used to pull the coach along. This makes it ideal for little hands to grasp.